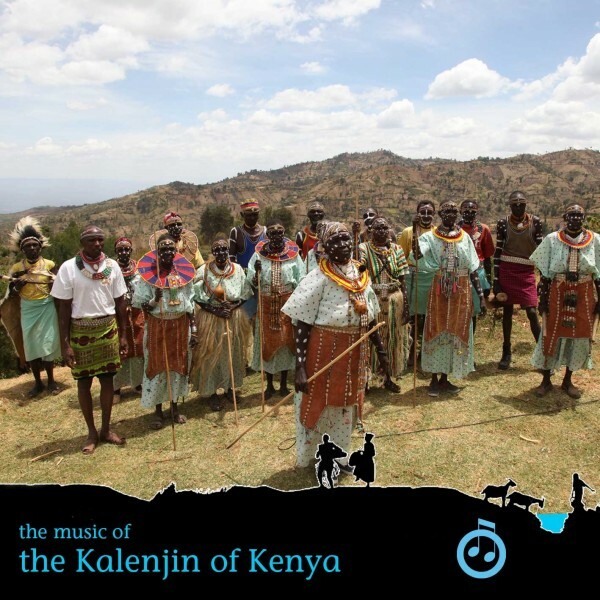 The tracks on this album were recorded in March 2012 on location in the field in Kenya, as part of The Singing Wells trip to record the music of the Kalenjin. The album opens with Ben Kisinja on the Burkandit, recorded in Kapsokwony on the 5th March 2012. Also recorded in the same session were the Chebonet Group and the Teriet Band. We also have a short snippet of The Masirtaret – a performance that was sadly cut short by rainfall – one of the perils of recording outdoors. The Sila Dancers began the day in Sila, followed by the Lomut Traditional Dancers and the Lomuge Group. The day recording the Pokot tribes was rounded off firstly with Kalomoywa, (the group are represented on the album with the track ‘Kamitol’) and secondly the Takar group – their Korutan and Chepo Mining making it through past technical difficulties on set. The very visual performances of the and the Sagat group (their image is on the cover) and the Embolet are both represented on the album. The final field day of the trip was spent recording the Tugen. The vocal harmonies of the performances have been captured well, with The Elimu Cultural Promoters and the Kewamoi Women Dancers both featured. The latter – a nice addition to the lineup, as the field day coincided with World Women’s Day. Eddie Grey was part of the team for the recordings, and he joined a number of groups to join them for Influences recordings. Two of these have been included on the album – his guitar playing accompanying The Elimu Cultural Promoters and the Kewamoi Women Dancers.